Glen Echo’s Perforated Wind Jacket is water repellent and offers side and upper back perforated panels for temperature regulation, an elastic waist and elastic cuffs with adjustable strap as well as rain stop zippers on the chest and hand pockets. Perforated side panels with ventilated back for temperature regulation. Attached draw cord for added convenience. Princess line for enhanced feminine fit. Rain stop zippers on hand pockets. Elastic cuffs with adjustable strap. 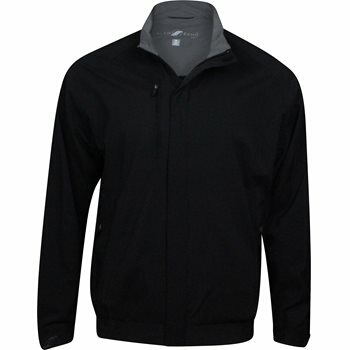 Light jacket keeps wind out and keep you dry in light rain.